When you start running, you don’t have to be perfect, you just need to have a pair of shoes, a desire to move and a willingness to listen to the body. Running is an easy and effective way to get fit, lose weight and feel positive. With the constant flow of advice, running apps and coaching blogs, the hardest thing in running, as in every sport, is to keep things simple – stay fit, stay injury free and enjoy running. We will touch upon all the aspect to help you achieve all three above mentioned goals. How to start your training? For the day 1, our advice is simple – just get your legs moving. No matter whether you run or walk. Just keep moving. Once done with day-1 run follow these 4 steps. The best way to stay motivated and make meaningful progress is to set target. We advise you to keep both medium term and short goals. Medium term goal (2-3 months) – Pick a race. Decide according to your schedule, distance criteria and facilities provided in the race. Check out top running events in Delhi and Mumbai here. Short term goal (0-1 month) – Keep a distance mark for yourself. For example, complete 2-km non-stop running jog. Faster pace: Foot strike should be little more to the forefoot. Hill running: Forefoot strike uphill and neutral, sometimes even a bit of a heel strike, when running down. Check out this details article on foot landing and running form. Don’t restrict the arm movement. Ask your friend, family or running buddy to record your run. Analyse the run and keep improving. The more you run, the more you will start feeling better. Here is how to perform an excellent video analysis of your run. Train 3-days a week for first 3 weeks. You can add one more day after 3 weeks. Consider taking regular walk-breaks or water breaks. If you plan to run a marathon, check out this details blog with a training plan. If youplan to do half-marathon then check this out. These days, there is so much running gear available in the Indian market that runners can get too overwhelmed or intimidated by the plethora of options available. Stick to the basic goal of running gears – to make you feel safe, comfortable and highly effective. Staying safe – your first priority: If you don’t stick to the unsaid code of Indian runners, running in India could be a dangerous proposition. Indian runners have to brave through chaos, pollution, uneven and overcrowded roads in order to run. You have to wake up early to avoid traffic and crushing heat. Running gears, especially the reflectors, are important for running on the road early morning. Let’s have a look at the must have running gears. A good shoe is a basic necessity which has a significant effect on the effectiveness of your run. On the other hand, an unsuitable shoe might result in grave injuries like shin splints and knee pain which may keep you away from running for long. If there is an emanation of heat and development of friction in your shoes, the chances of getting blisters are pretty high. Moreover, the fungus also thrives in dark moist areas like your shoes. Comfort: That’s most important factor. Always try the shoes at the store before purchasing. Howsover feature-laden and exotic the shoes are, but if you aren’t comfortable, then it will do more harm than good. Pronation – the way your feet hit the ground: It’s important to know whether you are under-pronated (outer edge of your feet makes the initial contact with the ground), over-pronation (inner side of your foot generally hits the ground), and normal pronation (foot hit the ground flat). The store salesperson generally can help you identify this. Purchase the shoe according to your landing style to minimise the injury. Run duration: If you run for longer time, you need something that is not only durable but also keeps your posture correct. In some stores, for example, Decathlon, you get shoe categories by distance – 0-5 km, 10 km, 21 km or longer distance. Your weight and weight of the shoe: As you will be wearing the shoes for long durations, the lighter they are, the better it is. But if you are a heavy built runner, then you may need shoes with a lot of support. In conclusion, running shoes should be suitably light weight with firm yet responsive underfoot cushioning. It should have an accommodating toe box and some extra space allowing room for movement. As there are limited running tracks in India, most of your run will be either concrete or asphalt roads, so the shoes should be particularly durable to protect from small stones on the road and prevent slippage of fall. You can read in details about the running shoes selection here. Many runners think that comfortable running socks are a luxury. However, in India, the airy and light socks are a necessity. The socks should be so comfortable that you feel as if a family of baby clouds is lovingly hugging your feet for the entire run. Because of hot and humid weather conditions in India, your feet are prone to blisters if you wear cotton socks. Technical socks, on the other hand, will “wick” away moisture from your feet, so that you feel comfortable during your run. Technical socks are not just lightweight and comfortable, they even provide additional support and comfort with added features such as cushioning, compression panels, and reinforcement panels. Thus, wearing high-performance non-cotton socks greatly decreases your chances of getting blisters and calluses. Whether running in hot or cold weather, your running apparel has a huge impact on your comfort and performance. Right from minor disorders such as chafing to extreme ailments such as hyperthermia, all can be attributed to wearing the wrong running gear. There is a saying in the world of fitness: cotton is rotten! This is because cotton is the clear loser when it comes to regulating your body’s temperature. Once cotton gets wet with sweat, it stays wet. For runners in hot and humid weather conditions in India, this can prove to be highly uncomfortable. Even in cold weather, it can be dangerous. Thus, you will freeze in the winter and overheat in the summer if you are wearing cotton and running. As more sweat is produced, cotton tends to absorb the moisture and become heavier, while inter-fiber channels close down, hence the moisture cannot be transported to the surface to be ‘’wicked away’. So, don’t even think about wearing cotton sweatshirts and sweatpants on a run. Your skin is highly likely to chafe if you are wearing cotton. It is a high-performance fabric designed to move moisture away from the skin, helping you control your body heat — even in cold temperatures. It’s breathable – while running, you want breathable fabric. Since India is a very densely populated country and most of the neighbourhood is pretty busy, it is essential that you use reflective clothing. In the winter season, when the days are short in India, one often resorts to running in the dark. Reflectors aid drivers to identify you, and thus it is essential for your safety. If you don’t want to wear extra -protection clothing, then you can try smart reflectors, which can stick to anything — sweatshirts, dog collars, hats, etc. You can apply this reflective material all around so that you can be seen from all sides. If you are a nighttime runner, you can light on the front and back of your hydration pack would also work wonders for you. Hydration packs have been recently gaining popularity in the Indian running scenario. If you are the kind of person who hates wearing a utility belt to hold your water bottle, you can use a hydration pack that is light and secure enough to not bother you on runs. Also known as “running vests”, these hydration packs carry water, food, and emergency essentials that you can’t leave behind on a long run. When drinking from water bottles, runners tend to gulp down a lot of water at once. This can cause gag reflexes and create a splashing sensation in the stomach which is not a pleasant feeling while on the run. Sipping water at regular intervals is the best way to prevent this from happening and a hydration system fits that purpose perfectly. Runners living abroad in developed countries have it all to make running a pleasant activity – well-paved, running tracks for running, green surroundings and clean air. But cities in India paint a different story altogether. Apart from overpopulation, India has some of the most polluted cities in the world. Indian roads are also haphazard and of a patchy quality. No wonder, runners often find themselves dunked inside open potholes. Despite all these problems, irrespective of what the weather looks like, runners sweat it out in the open and test your limits by pushing themselves a little further each time. Running is a lifestyle that once started goes on for a lifetime. It’s not merely an exercise routine, rather a ritual that helps runners stay fit, both physically and especially emotionally. Irrespective of whether you run every day, once a week or even once a year, there are certain techniques and principles that need to be followed for a perfect, error and injury free run. The experts who treat knee pains suggest soft surface for running like grass, sand, and trails. If you have an existing injury, you must try soft surfaces. The grass is the best surface for running. The muscles and tendons present in the legs act as a spring for every movement we make. Those who run in daytime are highly vulnerable to injuries. The surface hardness and terrain matters. The shoe and surface also act as a spring. Simply put, the harder the surface, the lesser the spring. This results in the muscles and tendons taking more damage and strain as compared to a softer surface like that of grass. A softer surface will reduce the stress and consequently an injury free run. Needless to say, Indian roads are not the greatest. But did you know that running on uneven surfaces is comparatively much better than a plane surface? Running on a natural or uneven surface helps in a full range of motion for the muscles. Usually, runners would recommend running on trails or forest tracks and so on. But not everyone has such tracks near them and one has to make do with the roads. Landing plays a very important role in avoiding injuries and enduring a longer and more efficiently run. Do not hit the ground. Land smoothly over the mid foot for least amount of stress. Landing on the heel causes excess tension in the knees while landing on the toes cause the calves to stress causing shin splints. Shin splints could potentially end your run and damage the shins on a long run. Don’t try to overcompensate or overachieve with bigger strides. Its ideal to have reasonably shorter strides. Longer strides require more energy hence tiring you out quicker. Too short a stride and you’re covering less distance. Stride length varies depending on a person’s height. A well-balanced stride for an average person will be around 0.9 meters (90 centimetres). Cadence is simply the number of strides or steps per minute. Calculate your cadence by counting the number of steps in your run in 60 seconds. Few drills help increase cadence. Increase cadence every week by about 5%. Slow progress yields lasting results and more importantly, keeps you injury free. Cadence too varies. A tall person will have lower cadence. 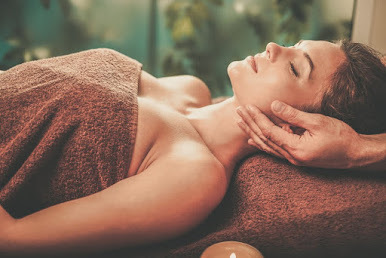 Body massages every 10 to days or twice a month help relieve the muscle stress and stiffness. Besides that, it is essential to massage the lower body every day to elevate muscle tension. Needless to say, stretching every day is an absolute necessity. Recovery is a very important factor that can make or break a runner on the long run. Ice the lower body including the shins, knees, hamstrings and feet relieves the pain by removing the lactic acid. The icing is particularly more important as Indian temperature is relatively high. Besides the high temperatures, the humidity percentage in most cities is also pretty high. These high temperatures cause overheating, dehydration and quicker energy consumption. Besides hydration, icing as a recovery method is of utmost especially if you’re a runner in a place with high temperatures such as in Delhi and Hyderabad. Stretch, warm up and cool down before and after the run compulsorily to avoid cramps and muscle pulls. You can follow the workout suggestion on Fitso app or youtube channel for structure in session. Don’t neglect stretching upper body as well. Good quality running shoes are getting more and more expensive every day in India with rising import taxes and manufacturing price hike. A quality pair of running shoes is imperative to a good, injury free run. While we suggest on spending money wisely, a high-quality pair of running shoes will definitely be worth your money. No matter the reason we begin running, the underlying goals are often the same- to better ourselves, to improve our health and to work towards meaningful accomplishments in life. As far as diet is concerned, I ardently believe that people do intrinsically know how to eat well on a daily basis. However, because of time constraints, social settings, or plain laziness, we tend to eat rather poorly as a society. Running burns the maximum calories so you can afford to eat large amounts of carbs. Yes, they should constitute almost two-thirds of our diet. Opt for complex and low Glycemic Index (GI) carbs such as brown rice, most fruits, yoghurt, nuts and lentils. Don’t go for sugar as the major source of energy. It depletes B complex and calcium. You actually need complex carbs like whole wheat atta products (roti, brown bread, whole pasta, brown rice). Before the run, eat a good helping of fruit to increase easy energy. And for the recovery phase, maintain hydration to aid the removal of toxins. Most of the time we need energy throughout the day and not a sudden boost. Runners need more protein for many reasons, including repairing damaged muscles, making RBCs to deliver oxygen to our muscles, making mitochondria and maintaining a strong immune system. Target consuming about 1.5 g of protein per kg of your body weight. The protein content of your food is vital and high biological protein should be eaten. Eat complete proteins such non-veg food, soy and paneer. Vitamins required are calcium to strengthen the bones; B complex to aid in muscle recovery and carb utilisation; Vitamin E to ensure joint flexibility; Vitamin C to boost immunity and speed recovery. Option 3- 75g Muesli with 250ml skimmed milk and handful of nuts and seeds. Eat 20 g of complex carbs, such oatmeal and a banana. This tops off glycogen stores. Eat 1.5 to 2 hours prior to give your body time to digest and soak up the nutrients. Sip plenty of water or isotonic drink. You can also carry a protein bar or energel for long distance. For the first 45 minutes of your run, you shouldn’t consume solid gel or fuels. After eating for the first time you can keep eating after every 30-45 minutes. Option 3– Greek Yoghurt with seasonal fruits. Make sure you consume at least 10-15 glasses of water every day including milk, lassi and coconut water, in order to prevent muscle wasting. Getting started is half done. But, there is half work still left, for which you have stick to the routine, stay focussed and keep focussed. There will be days you will be dejected with your performance, exhausted by the work schedule, lost in household chores etc, but, in between do remember you are the kind of person who finishes what he starts. Running can be a bit less fun when done alone. To make the running routine fun, interesting and motivating the first step is to find a running buddy. There are a lot of running groups in India who operate through Facebook and Whatsapp. Find one, and make sure you join the group at least once a week. It’s no surprise that music improves performance. Running can help get those crucial 10% push where you feel like giving up. Try to match the beats with steps, doing so really helps. Further, it’s suggested to listen to music with 170-190 beats per minute. While having a coach beside can tremendously improve your performance, you can make use of technology to learn from the best. You can subscribe to the best coaches through social media and blogs. While we don’t suggest to follow everything you read, you can evaluate the impact in your case and follow accordingly. Follow Abhishek Rathore, Deepak Raj, Coach Ravinder, Harish Sharma, Gagan Arora, and other famous coaches who can guide you step wise step for running a marathon. Running teaches you so many things, but the most important couldn’t be anything else but “rise above the challenges, and keep chasing.” There will be days you will get injured. There will be days when it’s too hot to run. There will be days when despite efforts of past 3 months, you couldn’t break PB. But these setbacks should not stop you or make you stop enjoy running. To achieve big, one must stick to the goal and keep on working repeatedly. With GPS trackers and other devices, you can track every statistics and improvement. Keep goals for every week, and measure your progress. Celebrate every increase in your PB pace and distance. This will keep you engaged, and motivate you to keep pushing. We have tried to answer all your queries related to running, however, incase we have missed any, let us know in comments.